dult education is an important part of the tradition of the United Methodist Church. We believe that through education we can continue to grow and strengthen our faith. Study opportunities like those listed here also help participants develop a sense of Christian community in smaller groups. We hope that you will try one of these engaging and informative class opportunities! Classes meeting at 9 a.m. If 9 a.m. fits your schedule and if joining a Sunday School class is on your to-do list, please join the BASIC Class (Brothers and Sisters in Christ). Stay afterward for the Pathways Contemporary Service at 10 a.m., then be at your favorite brunch location by 11:15 or so. Contact Mike Trujillo at mtrujillo78739@gmail.com. Classes meeting at 10 a.m.
Do you have a tendency to run late? If so, the CFC is the class for you! This group typically eats breakfast in the Fellowship Hall, then moves over to Room A202 around 10:15ish. It’s a relaxed, interactive group that enjoys studies through discussions and social settings. They are involved in projects both at the church and in the community; such as Operation Christmas Child, IHN, and Habitat for Humanity. Come on in anytime, and they will find a chair for you! Contact Alice Wiley at bawiley2@aol.com or (512) 891-9086. Family Faith is a class of study, fellowship, service and fun that includes members that are married, single, and divorced. Most of us are in our 30’s and 40’s with children ranging from infants to high school age. We seek to grow together as we discuss topics of spiritual and social importance and strive to apply what we learn to the challenges of daily life. Family Faith meets Sundays at 10 a.m. in the Adult Education Building in Room A201. Contact Kristen Bridgeman at k_bridgeman@hotmail.com. Interested in an in-depth, chapter by chapter study of the books of the Bible? This lecture style class may be just what you are looking for. Contact Jana Upshaw at jupshaw1@me.com and Duane Beardsley at wiley19@att.net. This in-depth class is open to all – from those starting their faith journey to those that have been on their faith journey for a while. Open Door members enjoy being involved in missions within the church and volunteering their time for the last and the least. They enjoy fellowship with each other and have their own social committee. Contact David McMillan at dmcmillan52@gmail.com or (512) 288-7604. The Regenerates are a discussion group. The class chooses a book/topic and members take turns leading each Sunday. This class is also involved in church ministries: the Interfaith Hospitality Network, providing lunches for Habitat for Humanity crews, Casa Marianella and other support missions. Contact Susan Coffman at WRCTAXMAN@aol.com or (512) 288-6923. This class uses short studies, especially video presentations, to spark discussion on various aspects of the Christian faith and lifestyle and sets aside one Sunday every month for prayer requests and fellowship. Contact George Kennebeck at gknn@earthlink.net or (512) 263-5701. Classes meeting at 11:15 a.m. This class studies books about the Christian faith and spiritual growth allowing for lively group discussion. The class provides opportunities for regular mission work. Yearly, we sponsor the building of a well in Africa. The class invites and welcomes all persons of every age, gender identity, racial or ethnic background, sexual orientation, marital or socioeconomic status, nationality, or physical or mental ability into full participation in the life to this faith community and declare ourselves to be open, affirming, and reconciling. Contact Lynda Rife at lrife@rifeline.com or (512) 797-9019. This 34-week study is a marvelous first course for those who have never studied the Bible in-depth. The goal of Disciple is transformation, not just information. It calls participants to open themselves to the power of God’s Word, to bring their experiences and struggles to Scripture, and to deepen their commitment to Christian discipleship. The study follows the chronological movement of the Biblical story from Creation to the New Jerusalem and explores the major themes of the Bible. The class includes daily reading assignments, questions for reflection, video segments and class discussion. 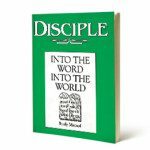 The only fee for the course covers the cost of the Disciple I study manual. Students also need a Study Bible. Intended for those who have completed Disciple I, this 32-week study deepens Biblical understanding by focusing on Genesis, Exodus, Luke and Acts. It encourages the practice of spiritual disciplines arising out of Scripture for the purpose of changing habits and transforming lives. Participants learn to approach all experiences of life as an opportunity for faithful witness and service. 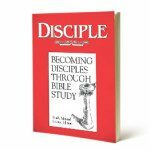 The only fee for the course covers the cost of the Disciple II study Manual. Students also need a Study Bible. This study is intended for those who have completed Disciple I and/or II. This is a 32-week study emphasizing the Prophets and the letters of the Apostle Paul. This study confronts the persistent questions found in these texts: What are the priorities of your life? What are the priorities of society? The only fee for the course covers the cost of the Disciple III Study Manual. Students also need a Study Bible. 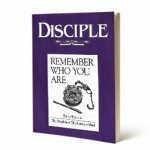 Intended for those who have completed any Disciple course, this 32-week study is the final course in the four-phase Disciple Program. Disciple IV examines Old Testament books such as Job, Proverbs, Ecclesiastes, Song of Solomon, Ruth, Esther, Ezra, Nehemiah and Daniel, as well as the New Testament Gospel of John and Revelation. Disciple IV appeals to the senses and emotions through words, images, dance, and music. It not only shows the distinctive character of the Gospel of John, but it also provides a video-led worship experience of the book of Revelation. 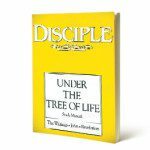 The only fee for the course covers the cost of the Disciple IV Study Manual. Students also need a Study Bible. This 26-week study focuses on experiencing God in our daily living. Participants’ lives are nourished through exploring Scripture, listening to God through it, and allowing the Word to shape their lives. Daily scripture readings and exercises are shared in class each week. Participants journal, pray, and reflect on Christ’s call in their lives. The material fee is $15 which covers the cost of the Study Manual. Sometimes shorter classes are offered. Mom2Mom is a ministry designed to meet the needs of mothers of school-age children, from Pre-K to 12th grade! We have two groups to fit any schedule: Mom2Mom Evenings, which meets on the second and fourth Thursday evening of every month at 7:30 p.m. in each other’s homes, and Mom2Mom Mornings, which meets every Tuesday morning during the school year at 9:15 a.m. in the Jr. High classroom. Contact Catharine Corder for Mom2Mom Evenings at catinbody@hotmail.com, or join our Facebook group (Mom2mom), and Stephanie Durbin for Mom2Mom Mornings: szhaw24@yahoo.com. Groups of 8-10 adults (plus those with kids), prayerfully assembled based on age, stage of life, interests, and major cross streets, meet for dinner together once a month. Get to know those folks you see every Sunday, enjoying fellowship centered around a meal at a team member’s home or a nearby restaurant. Groups meet on their own from September-November, and again from January-March. Great things are happening here! Come and join us. Contact Anita Barton at anitabchef@yahoo.com for more information. Consider a Walk to Emmaus. It will have an everlasting impact on your life. 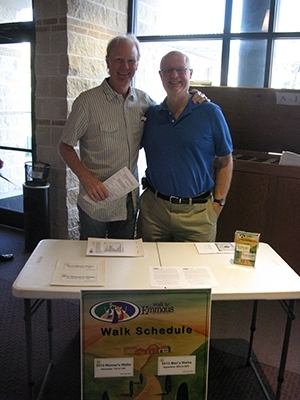 For more information contact Diane Merwarth at dianemerwarth@att.com or 288-6916 or go to http://www.austinemmaus.org/Walks.php.